This month’s Hobby Tech, my regular five-page column for Custom PC Magazine, takes a look at the Argon One aluminium case for the Raspberry Pi, the now Flash-free Scratch 3 visual programming environment, and Sean McManus’ Mission Python. First, the case. Created as a single piece of aluminium with a plastic base-plate, the Argon One is more than just a means of protecting a Raspberry Pi: it includes a daughterboard that pulls the HDMI and analogue AV ports to the rear for neater cabling, another that adds a fan for active cooling and a smart power button while also bringing the GPIO header out with colour coding and silk-screened pin references on the case itself, and a magnetic cover to hide said GPIO port when it’s not in use. More importantly, though, it’s one of only a few cases that actually improves the thermal performance of the Raspberry Pi when installed. Even ignoring the fan, which makes little practical difference to operating temperatures, the difference between uncased and cased is an impressive 24°C thanks to the use of the upper half of the case as a giant heatsink. The only real problem, and it’s one creator Argon Forty claims to be working to resolve, is the hefty voltage drop from the fan-and-power daughterboard: unless you’re using the Argon One 5.25V Power Supply or a similar compatible, expect to see frequent undervoltage throttling. Scratch 3, meanwhile, has proven itself a worthy upgrade for the popular block-based visual programming environment first created at MIT. While switching the stage and script area around and shuffling a few of the block colours is unnecessary and potentially confusing, new features including integration with translation and text-to-speech APIs and an easy extension manager are definitely welcome – as is the departure from relying on Adobe’s Flash technology. Sadly, though, at the time of writing Scratch 3 still did not support the Raspberry Pi, though work is in progress on that front. Finally, Mission Python: as the author of a few books myself I know only too well how tricky it is to walk the line between introducing concepts in a friendly and approachable manner and being patronising, as well as trying to aim a publication at a broad age range. Sean McManus, who is no stranger to bookstore shelves, proves it can be done with Mission Python as he walks the reader through creating a game in Python using the Pygame Zero wrapper around the Pygame library. 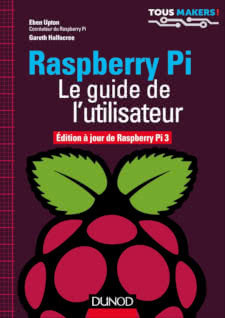 The result is colourful and fun without being in any way condescending, and a definite recommendation for anyone interested in flexing their Python skills. All this, and the usual selection of articles not written by me, can be found on the shelves of your nearest supermarket, newsagent, or digitally via Zinio and similar services. In this month’s issue of The MagPi Magazine you’ll find my review of the Argon One, a clever case for the Raspberry Pi that if creator Argon Forty’s name is anything to go by will be followed up by 39 successive designs. Raspberry Pi cases are ten a penny, but the crowdfunded Argon One stands out for one very heavy reason: the majority of the case, bar a plastic base, is made from a single piece of aluminium. 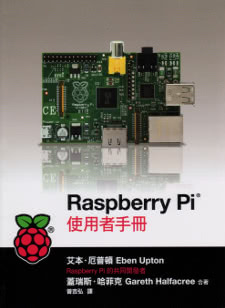 It gives the case heft, but serves a real purpose too: the Raspberry Pi’s system-on-chip (SoC) is connected to the body of the case via a pillar of aluminium – turning the entire case into a giant heatsink. It’s a great idea, and definitely works, but means the case has restricted compatibility: only the Rasbperry Pi 3 Model B and Model B+ will fit, with other models having their SoCs in a different position. If your Pi does fit, you’ll find the Argon One works a charm – though a built-in fan appears to make little practical difference to temperature levels. The only real fly in the ointment, though, is that a daughterboard which provides a smart power button on the rear and power for the fan – joined by a second that moves the analogue AV and HDMI ports to the rear with the others – causes enough voltage drop to trigger ‘undervolt’ warnings and throttling on most power supplies. Only Argon Forty’s own 5.25V/3A supply, or an equivalent, avoids this – information that came too late for backers of the original Kickstarter campaign. The full review, and a lot more beside, is available at your nearest newsagent, supermarket, or for free download under a Creative Commons licence from the official website. This month’s Hobby Tech column features an interview with Eric Yockey on his company’s PC Classic microconsole, a review of the it-really-blows IT Dusters CompuCleaner, and of Eric Amos’ coffee-table tome The Game Console. To start with the interview, Eric surprised the gaming world late last year by announcing what at first glance appears to be a me-too product following in the footsteps of the Nintendo Entertainment System Classic Mini and Sony PlayStation Classic, not to mention the raft of Atari- and Sega-licensed devices that came before them: the PC Classic, which aims to bring older games back to the living room. The CompuCleaner, meanwhile, is an attempt on my part to reduce my environmental impact and fatten my wallet: an electric air-blower which aims to replace cans of compressed air for cleaning electronics. Anyone who has an actively-cooled PC will know that the vents and fans need to be kept clear, but the problem only gets worse when you need to take photos of things for a living – and the CompuCleaner, bar a few little niggles, is a fantastic way to do that without running through half a dozen air cans a week. Finally, Eric Amos’ The Game Console is an impressive book covering many – but far from all – games consoles from the early days of the Atari VCS up to more modern systems. Light on text, the book’s focus is Eric’s high-quality photography – imagery he took, initially, to contribute to Wikipedia in place of the often low-quality photography that adorned classic console pages. While it’s not something you’re likely to sit and read cover-to-cover, it’s not only a pleasing thing to flick through but a great way to support Eric’s work in taking ever more photographs of increasingly-esoteric hardware. For all these, head to your favourite newsagent, supermarket, or stay where you are and download the digital version via Zinio or similar distribution services. This month’s HackSpace Magazines includes my review of an easy-to-use but surprisingly feature-rich robot from Dexter Industries: the BBC micro:bit-powered GiggleBot. At first glance, the GiggleBot seems like a straightforward two-motor wheeled robot chassis. A closer look, though, reveals where it differs from the norm: RGB LEDs, a built-in line-following sensor, Grove headers for additional hardware, and even a pair of servo headers to add additional motion into the mix. 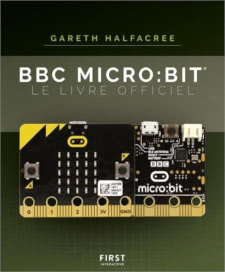 All this hardware is controlled from a standard BBC micro:bit microcontroller board, and doesn’t interfere with any of its existing components – meaning you’re still free to use the LED matrix display, compass, accelerometer, and Bluetooth radio, the latter even allowing you to use one BBC micro:bit as a handheld remote for another powering the robot. 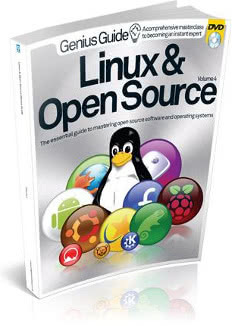 For the full review you can either pop to your nearest supermarket or newsagent for a print copy of the magazine or, as with all Raspberry Pi Press publications, you can download a Creative Commons licensed digital version free of charge from the official website. If you’ve ever wanted to tackle an electronics project but didn’t quite know where to start, my latest article for The MagPi Magazine should get you up and running: it’s a look at resources for learning beginner-level electronics. 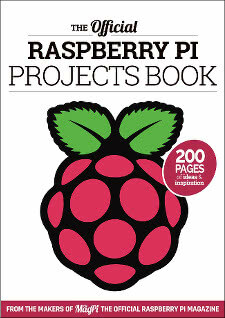 Centred, naturally enough, around the Raspberry Pi itself, my feature walks through a number of different resources: books, including Phil King’s Simple Electronics with GPIO Zero, all-in-one electronics kits of components and project sheets, online courses, and video tutorials for everything from connected LEDs and switches to the Raspberry Pi through to core concepts surrounding precisely what electricity is and how it works. 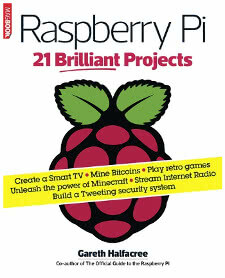 As with all Raspberry Pi Press publications, The MagPi Issue 77 is available for free download under a Creative Commons licence from the official website, or you can pick up physical copies in your favourite newsagent, supermarket, or from the comfort of wherever you are right now via the Raspberry Pi Press Store. In my regular Hobby Tech column this month you’ll find a detailed review of the Raspberry Pi 3 Model A+ single-board computer, another of the ever-so-slightly less-powerful Digirule2, and of Adam Fisher’s exhaustive Valley of Genius: The Uncensored History of Silicon Valley. 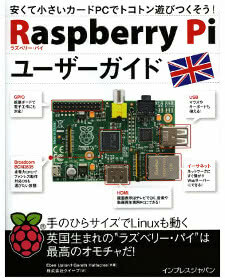 First, the Raspberry Pi. 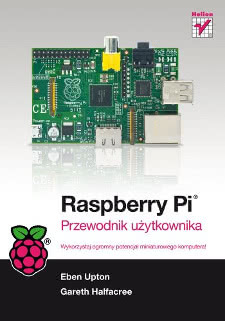 The first model to use the A+ form factor – smaller PCB, only one USB port, full-size display (DSI), camera (CSI), and HDMI ports, analogue audio-video (AV) – in the last four years, the Pi 3A+ is an impressive beast for cramming the full performance of the larger, more expensive Pi 3B+ into a smaller form factor. I was concerned, upon first unpacking, that the smaller PCB would undo the good work on the thermal-transfer front that made the Pi 3B+ such a good improvement on the original Pi 3B; a quick test under a thermal imaging camera, though, showed that I was worrying over nothing. The Digirule2 is a markedly different beast. While it’s a single-board computer, it’s one which is designed more for fun than functionality: built into the form factor of a ruler, complete with inches and centimetres marked in binary along the upper and lower edges, the Digirule2 is inspired by classic machines like the Altair 8800. Press a series of buttons to program a particular memory location; press another button to switch to the next; and press a third to see your program run on the built-in LEDs. One particularly impressive feature is an eight-slot program storage, allowing you to save and load your programs directly on the device – and all without having to hook up your punch-tape reader/writer. Finally, Adam Fisher’s Valley of Genius is a book in the mould of Fire in the Valley: an attempt to document the rise and, frankly, continued rise of Silicon Valley and the companies it has birthed. Culled from over 200 individual interviews, the book uses direct quotation rather than any attempt to weave a narrative but dodges dryness by weaving multiple subjects’ remembrances into each themed chapter. The final effect is less an interview and more a conversation between some of the industry’s biggest names, from the birth of the mouse right through to the modern age. To read the full column, pick up Custom PC Issue 185 from your nearest newsagent, supermarket, or electronically via Zinio and similar distribution platforms.